Next week sees a new programme starting on Cbeebies. 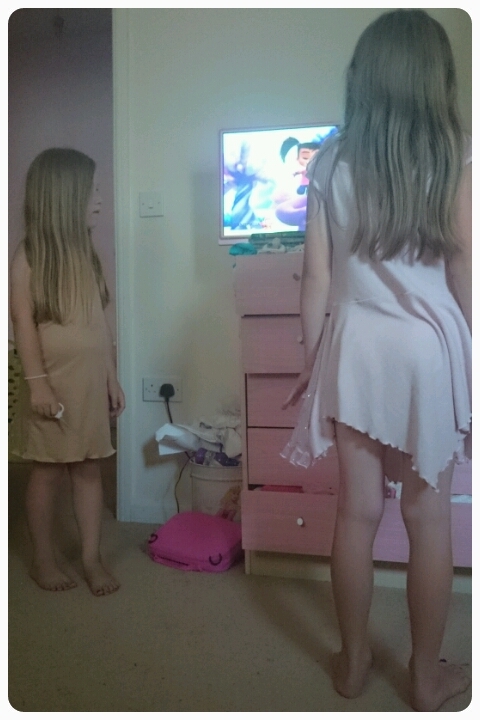 Kate & Mim-Mim will be twirling onto a TV near you. This brand new animated pre school series follows the adventures of a five year old girl named Kate and her best friend Mim-Mim and we were lucky enough to be one of the first to see this new series. 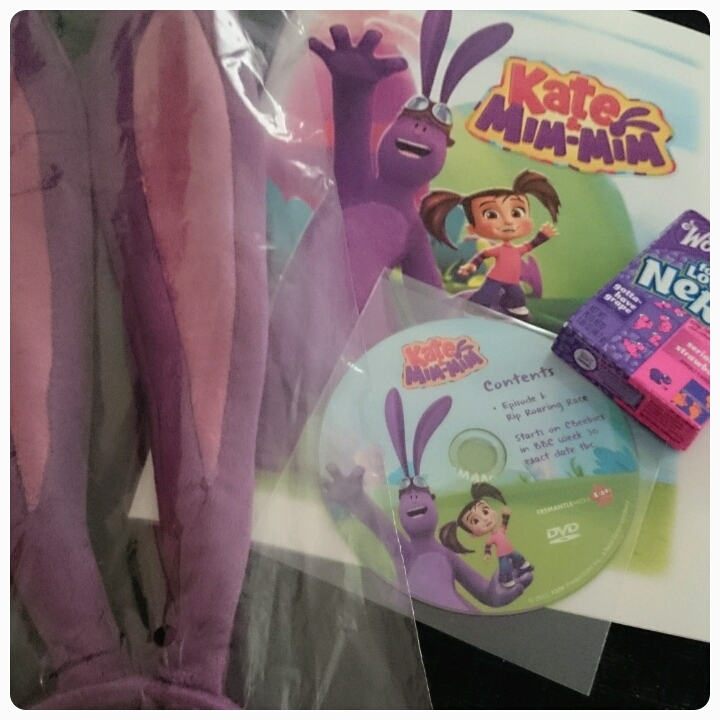 Based on a real life girl, Kate & Mim-Mim tells the story of feisty five year old Kate and her big imagination! 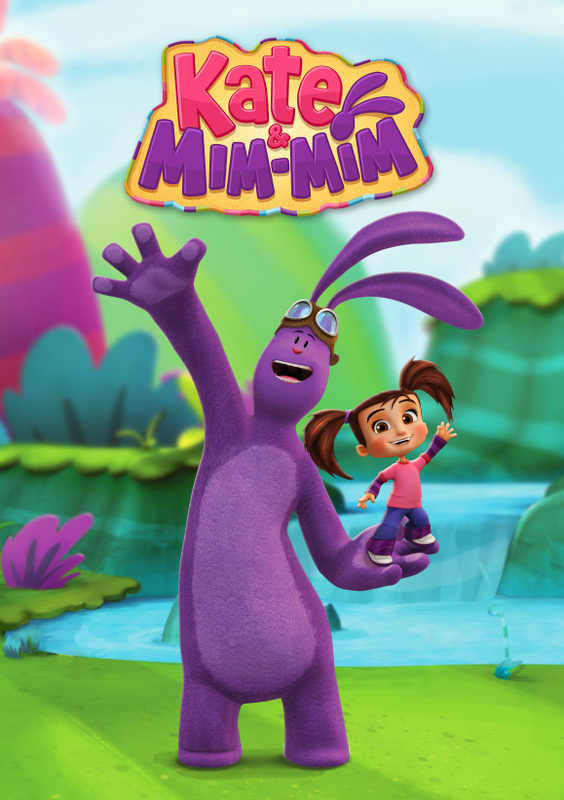 Whenever Kate faces a problem or something stirs her curiosity, she and her facourite toy bunny Mim-Mim twirl off to the fantasy world of Mimiloo, where Mim-Mim transforms into a larger than life playmate. My kids and I were lucky enough to be able to watch episode 1, Rip Roaring Race. The concept is simple yet effective. We get to meet more of Kate & Mim-Mim's friends including Lily, Boomer and Cobble, each with different personalities. The programme explores different themes such as friendship and allows your child to use their imagination as they watch the programme. It encourages children to solve problems, learning as they watch. At the end of the episode Kate has managed to find a solution to her original problem and is more than excited to go and tell her parents all about the adventures she has been on that day. Although aimed at preschool children, my 6 and 8 year olds were more than happy to sit and watch the programme and they were able to explain things to their younger sister too. I think this will be a great addition to CBeebies line up. It is a fun and high spirited programme and at roughly 10 minutes long, it will be able to hold your child's attention and have them captivated. Catch the first episode which is airing on Monday 4th of August at 5.30pm over on the CBeebies channel. Haven't caught it yet, will try to watch it today and see what my 5 year old thinks.